Violet is a all body porcelain limited edition art doll by Wendy Lawton. She stands approximately 14 inches tall, and was produced in an edition of 350. In the age-old language of flowers, violets always denoted modesty. With her light violet eyes and blonde curls, Violet shyly paints a demure picture. 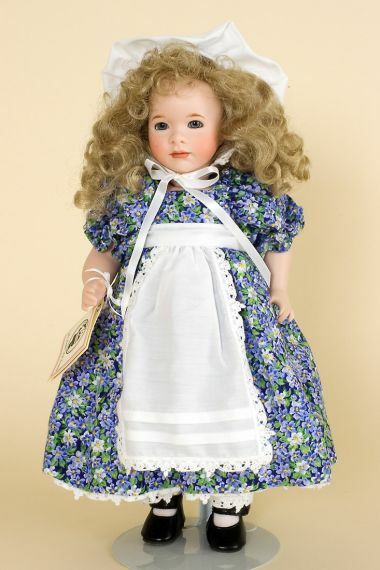 Her violet-strewn cotton frock is covered with a crisp whit lace-trimmed apron. She wears a matching cap. She is from the Language of Flowers Collection.